My Creative Time: Trending Now..... "Let it Snow!" Good Morning Miss Emma.....OMG What a Super Adorable, Sweet & Precious card. I love your little scene and your darling and oh so cute snowman....she is so stylin' in her pretty scarf, hat & mittens. 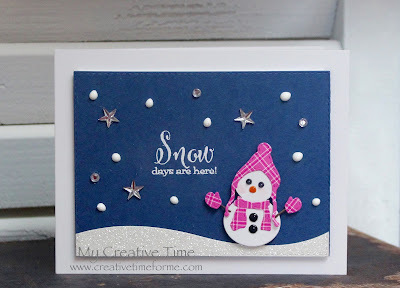 You so did a Super Outstanding Creative job and once again have shown more creative ways to use your amazing & Fab goodies. Wishing you a Tremendously Terrific Thursday...and can't wait til Monday!! EEEEK so excited. YOU so ROCK!! Adorable card Emma! 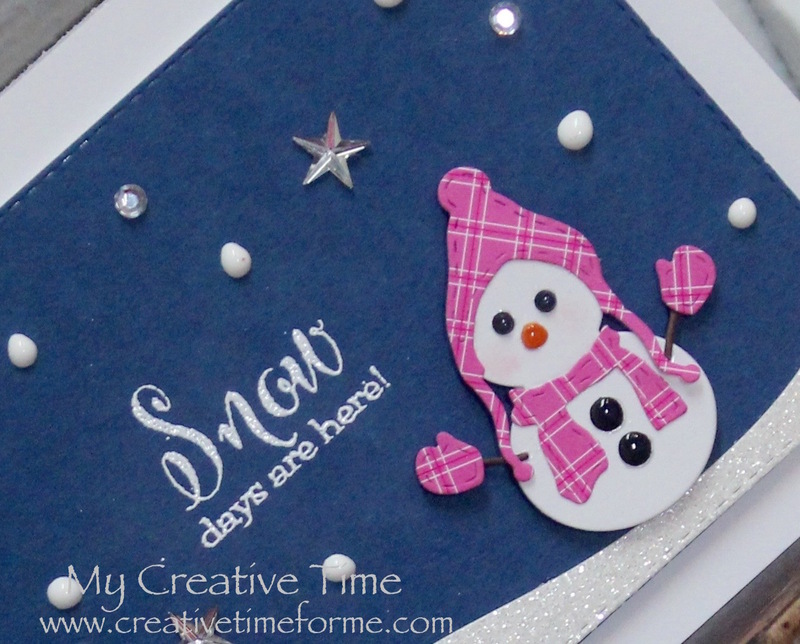 Love the super cute little snowman! Thanks for sharing and have a fabulous day! What a sweet card! 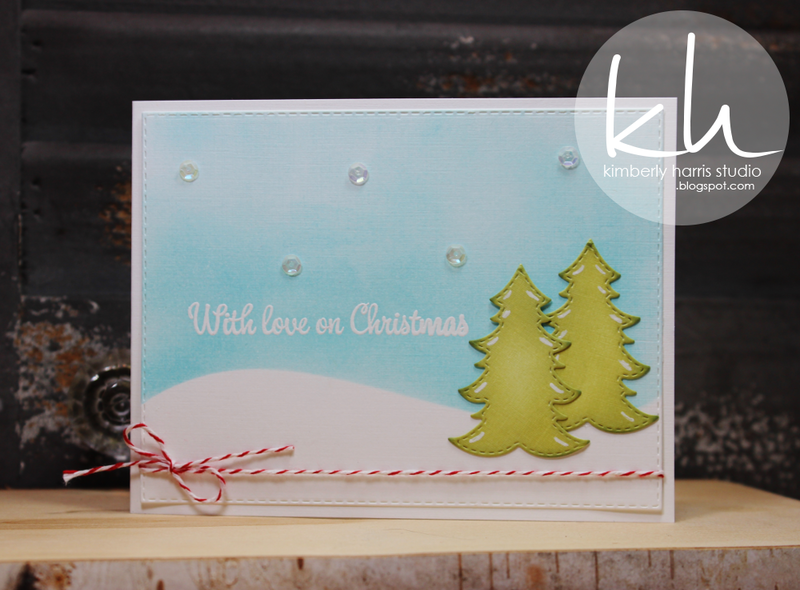 Love all the little embellishments you added so cute! (I also love the sound of rain when I have no where to go! Sounds so peaceful today!) Hope you have a fabulous day too! So sweet, so cute, so fabulous! I love the sound of rain too, but it was snowing here!!! NOOOO! LOL I love snow but it makes ice, ice that people have to drive in, too many accidents and people hurt. It sure is beautiful to look at though, so sparkly. Love your card. I love your snow scene and little snowgirl. How adorable it is! Great projects by all today. I hope you all have a great weekend and look forward to the sneaks for next week. Wow! I wish I had find this article before the Christmas! I provide the custom help with dissertations and I have so many clients... I will make these postcards next year!